When one thinks of a classical poet, it isn’t uncommon to envision coniferous trees, lakes that glisten and clouds that take the shape of familiar things. It’s also easier to envision an older gentleman reciting these lines. 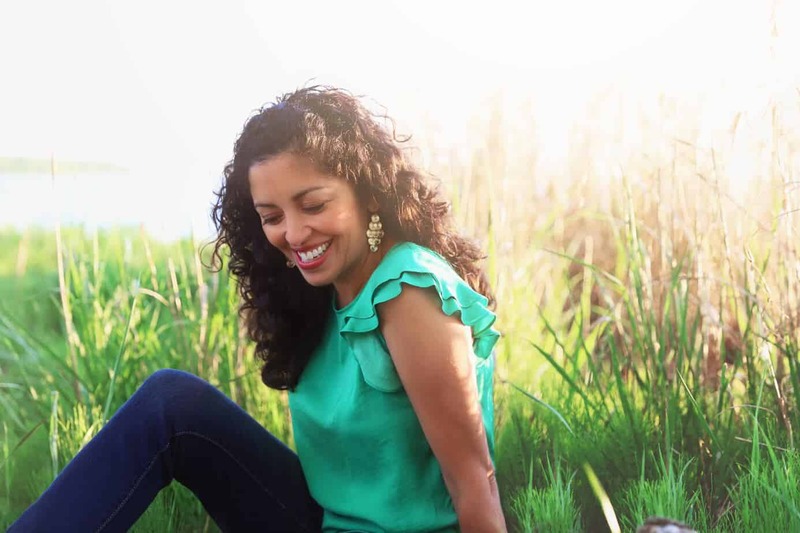 With Aimee Nezhukumatathil, a poet from Copper Canyon Press, this stereotype crumbles and we are introduced to a lyricist of the natural land who pairs her deep love for nature with open-ended romantic and philosophical underpinnings. Think of a feminine perspective with a universal appeal. Her new collection of poetry, “Oceanic” represents just that. DC Life Magazine: How did “Oceanic” come to be? Aimee Nezhukumatathil: In “Oceanic”, I investigate forms of love as diverse and abundant as the ocean itself. This book still aims to celebrate joy and wonderment of the natural world and desire like my previous collections, but this one is a more thorough registry of the earth’s wonderful and terrible magic. This is a culmination of culling the top fifty or so poems that showcased those thematic concerns from over 200-some poems written from 2010-2017. AN: I think there sometimes is a reputation for poetry to be pretty dour and depressing, but I am hoping that in a world that encourages division and isolation, people can check out some poems that use joy as a vehicle for insisting that the inhabitants of this planet have more in common than we may think. I have an epigraph from Sylvia Earle that opens the book–she is one of the greatest heroines of my lifetime. She set so many records and smashed so many ceilings in a field often dominated by men. At the heart of her numerous accomplishments is her love and passion for the ocean. She didn’t wait around for permission to follow her heart and her brain. She was the first –before Jacques Cousteau, before Rachel Carson even–to realize that humans are hurting the ocean. And she was an incredible athlete too–a deep-sea diving champion too! I often talk about how I spent much of the first part of my life not seeing anyone who looked like me do the very things I love to do (write, teach, observe the outdoors, etc.) Sylvia serves as a reminder to be brave and to create without waiting for approval or permission. DC: In “Oceanic”, wildlife almost feels as relatable as a good friend. Were you one who grew up around animals? AN: Not near them, but could get to them if I wanted. I moved around in pretty rural places for most of my life, or in places that were fairly near forests/deserts/prairie, and my parents made sure I knew the names of plants and animals and stars–no matter where we were so my younger sister and I never truly felt lonesome. DC: How do romance and love blend into your style of poetry? AN: It’s easy to be sentimental, but harder to interrogate that feeling in a poem. I think having a slight edge or darkness of imagery certainly helps in a love poem but ultimately, most of my poems try to fight or bend towards a tenderness and love. My family keeps me grounded and gives me the most joy. When it comes down to it, I write to celebrate love, but that love comes first (it has to!) from within. DC: Do you have a writing ritual? AN: Not a ritual per se (hard to do that with very active and imaginative young boys, whose company I absolutely revel in, not to mention I just genuinely enjoy hanging out with my husband so only in the best way those are ‘happy distractions,’) but I do love to write drafts long-hand, I keep a commonplace book for ideas and lists, and I only take to the computer when it is time to revise. I have an overwhelming (at times) love and weakness for office supplies, so I enjoy the ink of a good pen sliding on the tooth of a heavy sheet of paper. DC: Do you have a favorite National Park? AN: The Grand Canyon was a spot where you could always feel a stillness and splendor when I was growing up in the busy suburbs of Phoenix, AZ and now that I have kids I’m aching to get back and to have them look at the dazzling sunrise views and rock stripe rainbows.